Professor Martha Minow in conversation with Father Eric Salobir, the Venerable Tenzin Priyadarshi, Professor Max Tegmark, and Joi Ito. Artificial intelligence has become the catchphrase of our time, mediating great hopes and fears in anticipation of a new era in human history. Some expect that we’re going to merge with machines and upgrade ourselves into God-like beings with divine abilities of creation and destruction. Others fear that machines will surpass their human creators and take control over our world. We aim to scrutinize these perils as part of a larger, intercultural dialogue, where preconceived dualisms are challenged. Please join Fr. 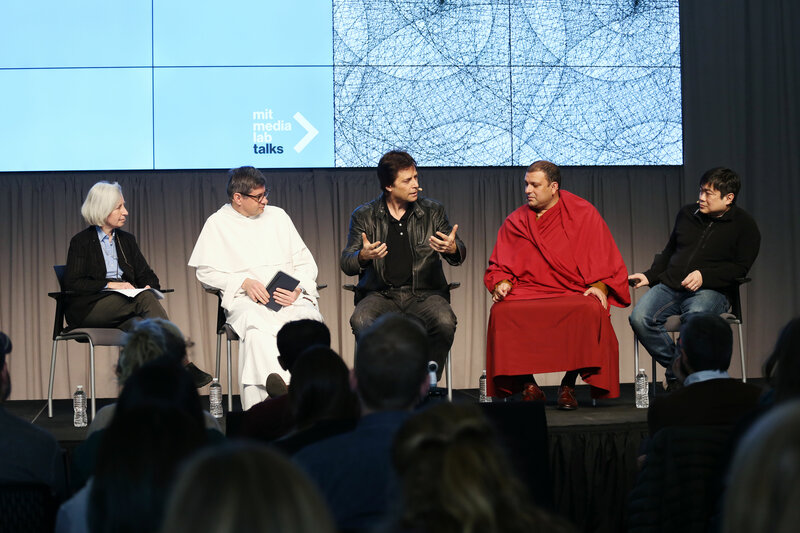 Eric Salobir, the Venerable Tenzin Priyadarshi, Max Tegmark, and Joi Ito in a conversation with Martha Minow on the role of belief systems at the onset of AI: How do cultural and religious traditions reverberate with the ethical decision-making processes of our time? Do different belief systems offer different pathways towards a transhumanist future? If so, how do we reconcile the diverse Gods of our cultures? Father Eric Salobir is a Roman Catholic priest and General Promoter of Communications to the Order of Preachers. As a consultor for the Pontifical Council, a member of the delegation of the Holy See at UNESCO, and president of the global OPTIC Research Network, Fr. Salobir operates at the forefront of values-driven research by facilitating dialogues between scientific and religious communities. The Venerable Tenzin Priyadarshi is a Buddhist monk and the director of the Ethics initiative at the MIT Media Lab. As the president and CEO of the MIT Dalai Lama Center for Ethics and Transformative Values, and the founding president of the worldwide humanitarian ‘Prajnopaya’ Foundation, he promotes research and program design to facilitate broader and deeper understanding of ethics and empathy adherence. Max Tegmark is professor of physics at MIT and co-founder of the Future of Life Institute, a research and outreach organization that works to mitigate existential risks facing humanity, particularly from advanced artificial intelligence. 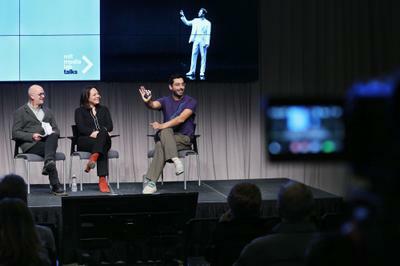 His recent book, Life 3.0—Being Human in the Age of Artificial Intelligence, discusses the promises and perils of the AI revolution. Joi Ito is the director of the MIT Media Lab, professor of the practice of media arts and sciences at MIT, and visiting professor of law from practice at the Harvard Law School. In his recent essay, "The Resisting Reduction Manifesto," Ito offers a critique of the currently predominant belief in the Singularity, and reclaims diversity as an essential element to a culture of flourishing. Martha Minow is the Carter Professor of General Jurisprudence at Harvard Law School and Distinguished Service Professor at Harvard University. She served as the dean of the law school between 2009 and 2017. An expert in human rights and advocacy for members of racial and religious minorities and for women, children, and persons with disabilities, her writing and teaching includes privatization, military justice, and ethnic and religious conflict. Join us for a conversation with The Venerable Tenzin Priyadarshi and Robert Thurman.